When you want the attention you deserve, put this kit on your shirt, but first you have to assemble and test it! 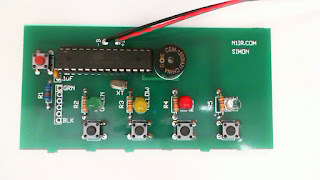 This kit demonstrates how to blink two LEDs with common electronic components. When you have to make a decision of “Yes” or “NO”, make your life simple and get the electronic Coin Decision Maker . This is a fun electronic game to play with, either by you or with friends. Building and using this kit could test the reaction of anyone. The object of the game is to anticipate when the LED would light up and release the switch at the exact moment. If caught exactly, when releasing the switch, the LED would stay lit and you will be a winner. Set this kit in an inconspicuous place with light shining on it and it remains perfectly silent, however, as soon as the light is turned off the kit emits a high pitched irritating tone! When they turn the light on again to look for the culprit it keeps silent again! Easy to build and loads of fun to use. When troubleshooting a circuit, this kit would be a great tool to test for continuity in a circuit. It has a built-in buzzer for a clear audible sound. This circuit can also be used at a Morse code practice oscillator. Simon Says is a memory game. Start the game by pressing one of the four buttons. When a button lights up, press the button, repeating the sequence. The sequence will get longer and longer. The game is won after 13 rounds. 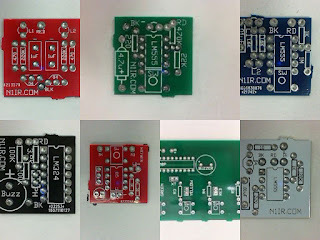 This is only for the bare PC Board with no components, includes one of each of the following PCB's. 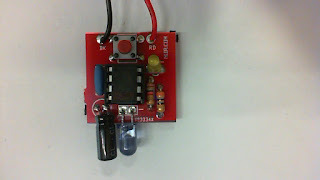 Blink LED, Coin Decision, Reaction Tester, Insanity Alarm, Continuity Tester, TV-B-Gone and Simon Says. 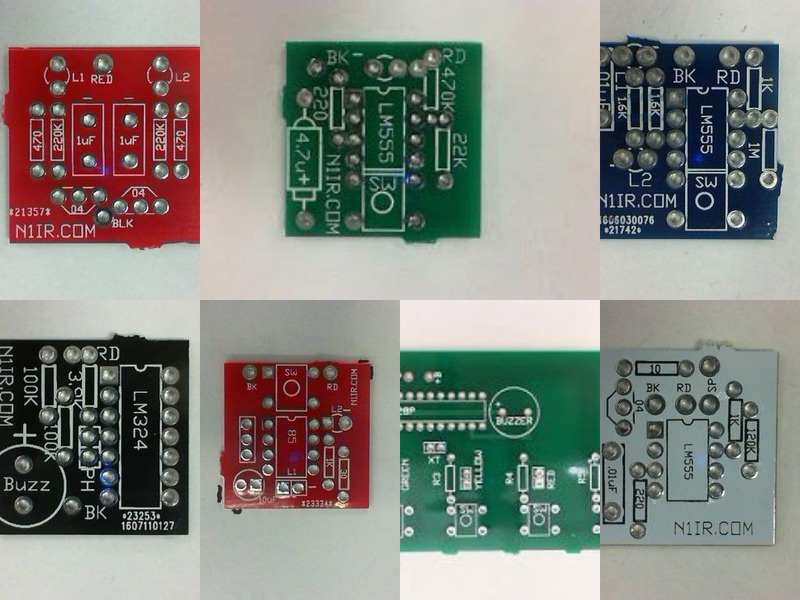 A total of seven PCB project boards, for one low price!